This lovely village house requires modernisation but is immediately habitable and comes with . . . Pretty stone built 3 bedroomed house with barns, outbuildings, old house to renovate and attached garden. This character property is found in a small hamlet not far from the beautiful haute-charente . . . Single storey stone property, very close to the leisure lakes, with attached garden and outbuilding, plus potager. Spacious 2 bedroom, single-storey home with lounge/kitchen/dining room, large lounge/bedroom, . . .
House & barn to renovate, all situated just over 6km from the leisure lakes of the Charente, . . . 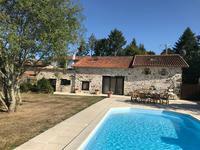 Situated in a quiet hamlet on the doorstep of the Haute Charente leisure lakes this lovely 4 . . . This attractive property requires complete modernisation throughout but has bags of . . . This property was once 2 houses that have been opened into one large 5 bedroom propety. . . . This property was once 2 houses that have been opened into one, it is situated near to the . . .
With a total rental income of 955€ p/month or 11460€ p/a, this group of apartments in the . . . Attractive 2 bedroomed house to modernise in a sought after area of the medieval town of Rochechouart with garage and garden attached. This attractive house 2 bedroomed house has a good roof, is connected to mains drains, has . . . 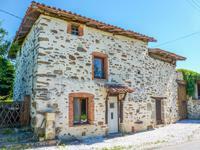 This pretty stone barn measuring approx 8m by 14m has a good roof and attached garden . . . Situated in a lovely village, just 3km from the medieval town of Rochechouart, this 2 . . .
Stone house offering 3 bedrooms with attached outbuilding, garage and attached garden. This house was once a barn converted into accommodation some years ago, it benefits from off . . .